you feeling and looking your absolute best. Hi, I’m Marion and I’m so delighted you’re here. I completely understand that you have an incredibly busy lifestyle; You just don’t seem to have any time for yourself. The stresses and anxieties of your day are overwhelming; You’d love to be able to relax your body and slow your mind. You can see how your lifestyle and environment manifests on your face; You have wrinkles, frown lines and unhappy looking skin. Your over active mind negatively impacts your day; That underlying tightness in your stomach just won’t seem to shift. And sometimes you’d just like to simply SWITCH OFF for a while. I can help you….because I’ve been there. I am in the business of well-being, which has come about from my own personal need for this. I was in a place of severe and chronic stress causing debilitating anxiety, which made me feel and look much older than my years. People will comment on how well you look. You’ll be able to handle day to day challenges with much more ease and confidence. My treatments will benefit those around you as they notice how relaxed you are. You’ll be floating through your day with an inner calm.…and younger, plumper, more alive looking skin. When you look good you feel great. You understand the benefits of taking care of yourself and your skin; You are used to exceptional standards. You want to feel like you are the most important client of the day; You expect undivided attention. You want to be listened to, not told what to do; You want your needs and desires to be met. Compassionate and empathetic by nature, it is my desire that every single client has the most wonderful experience from start to finish. And, as my client, that is exactly what you’ll get. With years of experience in top end service industries and training in client facing skills, I know what it takes to bring that level of calm and collected professionalism to you. You will feel the benefits after just one treatment. Oh, I’ve been there alright…and now I’m here: A much calmer, more balanced, healthier and younger looking me. There has to be more to life than this; how long can I continue to wake up feeling this way? And so began a liberating journey of discovery – incorporating extensive world travel, meditation, yoga, personal development and spiritual exploration. I abandoned the hurly burly of my corporate world and started on a path which suited my life philosophy; health and well-being. Bringing together everything I have learned and experienced, I offer complete, holistic experiences that infuse meditation, mind and emotional coaching, energy healing AND luxury organic facials. 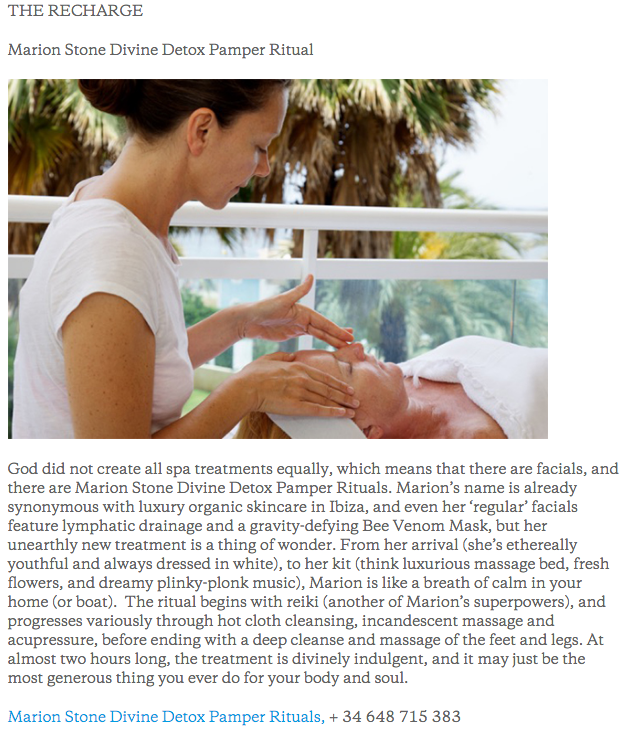 Not only will you discover a profound sense of well-being, your skin will look incredible! Would you like to learn more about how I can help you to feel and look your absolute best?